For a recipe developer, there are some recipes that bring with them that AHA moment. That “Aha, this method/ingredient/recipe is so perfect, so right, so easy, I need to remember this for future use”. I find that those moments stick with me, and I can call them up at will. It’s amazing, really, since I can’t remember what day it is half the time, or what I walked into that room to get. My life is busy and my brain is over-cluttered, and I lose my keys and my phone (and my mind!) constantly. But those little recipe AHA moments seemingly get filed away in some very organized brain-space and then are put on lockdown, awaiting the moment I need them. It certainly makes my job easier that I don’t have to struggle to recall those important bits and pieces. And in this particular case, that little bit of recipe information didn’t have to wait long to be recalled. When I created my Easy Blender Chocolate Mousse, I was most eager to put that sucker to use again. It’s such a good recipe on its own, of course, but my brain instantly recognized that it would also be great as a component of other recipes. Cakes, tarts, pies, fillings for cookies maybe, oh, how about in pavlova? The possibilities are endless. I have plans for this stuff. Important, chocolate-filled plans. Plan Numero Uno has already been executed. 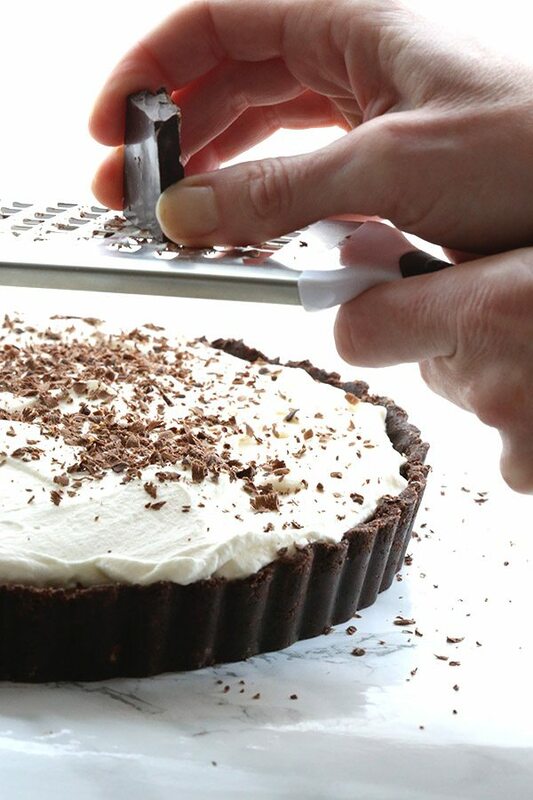 A super easy, no bake tart with a chocolate crust, chocolate mousse filling, and a whipped cream topping. An impressive low carb dessert that looks and tastes like you put some serious elbow grease into it, but that honestly only takes 30 minutes to whip up. It does need to set for while, but this is one dessert you can make a few hours in advance of guests arriving, all without turning on the oven. Just press that crust into place, blend the filling ingredients, pour in and let set. Then spread some lightly sweetened whipped cream, shave a little dark chocolate and you’re done. No fuss and minimal muss. And mind-glowingly chocolate-y deliciousness ensues. This was so, SO good that I’ve been dreaming about it ever since. Plan Number One of Operation Blender Mousse is a resounding success. This is the creamiest, dreamiest low carb dessert ever. Sugar-free chocolate mousse in a grain-free chocolate cookie crust. It's no bake and so easy to make! I love your site. I visit it daily and will continue to do so. Just wished you had more nut free recipes. For the crust? 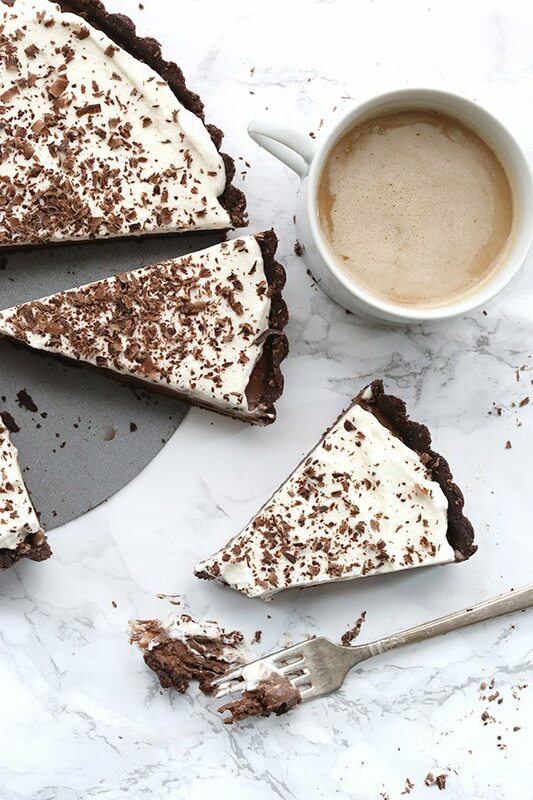 You may need to google a coconut flour chocolate crust. What an elegant looking dessert ! I’ll definitely be making this to satisfy my chocoholic tendency, and impress others, too 🙂 Another great recipe to add to my already huge collection from you. Your White Chocolate Macadamia Nut Scones are a huge hit, and I mean HUGE. Tomorrow, I’m baking a combination recipe of White Chocolate Raspberry Swirl Cheesecake from my original LC cheesecake recipe, which is a NY style and elements of your White Chocolate Raspberry Swirl and another one I have. I cannot find the Recipe for White Chocolate Macadamia Nut Scones . Could you list it please. First off, these pictures are AMAZING! You blow me away with these low carb desserts! Beautiful photos. 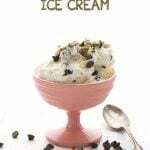 I’ll definitely be trying this with some coconut whipped cream (just a preference). Thanks! Oooh, oooh. gorgeous. 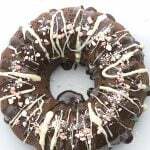 Your recipes and beautiful pictures make my mouth water!! Carolyn, you use Almond or Cashew milk frequently in your recipes; unfortunately, we cannot bear these. Will regular low carb milk work as well? Yes, regular milk would work. How do I turn this recipe into 1-2 servings? This is not a single serve recipe, sorry. Not everything can be cut down to size. yes, I think the extra large eggs would cause some issues. Had the same results using extra large eggs….although very yummy, it never solidified to the point where it could be cut. Had to spoon it into bowls as a pudding. Also used a ceramic pie plate rather than a metal tart pan. Any other suggestions for thickening up the mousse? Why were you using extra large? I only specified large. You could try 1/4 tsp xanthan gum, that would help. Oh my goodness! I cannot wait to try this recipe. I am struggling to get back onto my low carb lifestyle and recipes like this will really help. I’m going to the store on the way home today and I’m picking up some almond flour! Lovely mousse but its been 3 hours and it hasnt set, will it help if I put it in the oven for a few minutes to set the egg maybe? I suppose that might work. Can I ask what brand of chocolate you used for it? It should set within 1 hour. Mine always has and I’ve made this multiple times. Well, then that would be your problem right there. I specify unsweetened chocolate for this recipe because it has more fiber than sweetened chocolates and so helps things set properly. I used unsweetened baking chocolate (I was very careful to choose this) but I’m having the same problem with setting. What brand did you use? I’ve used any number of brands, as I often purchase what’s on sale. What sweetener did you use? 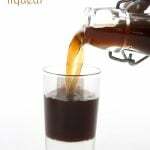 How can I substitute regular sugar for the sweetener? I will not eat artificial sweeteners. I don’t eat artificial sweeteners either. Everything in this is all natural and no more “processed” than sugar. That said…you should be able to sub cup for cup. O.M.G. I can’t wait to make this!! You could try a flax or chia egg as a substitute. But if you omit the eggs, it won’t set properly. Would using egg whites only be acceptable? No, it requires yolks to set properly. 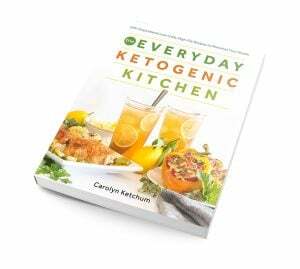 Carolyn, I love your recipes–you’re the best IMO! Keep up the good work! This one looks really easy, but I like crispy crusts – if I baked it, do you have an estimate of the time in the oven and at what temp? Thanks! 15 minutes should be about right and then let it cool completely before adding the filling. Hello, this looks lovely!! I’m in the uk and we don’t have swerve but could i use Splenda as a substitute? Would this massively affect the carb content? I am more concerned about what it would do to the consistency, as I really don’t use it. It’s worth a try and at the very least, if things didn’t set properly, you could freeze it and eat it that way! I used splenda and it came out fantastic! I made this for mother’s day tomorrow. It taste wonderful, but the filling hasn’t set up. It has been in the fridge for a couple of hours now. Any idea what I did wrong? What kind of chocolate did you use for the filling? I used baking chocolate, unsweetened, and I chopped it up first before blending. The recipe seemed similar to a French mousse recipe I had made in the past, of course, though, yours is wonderfully low carb! I think maybe my eggs were not as fresh as they could have been? By the way, we are new to low carb (three weeks) and have tried other non-calorie sweetners. Nothing compares to Swerve. Nothing. I was teasing my hubby this afternoon and said, “I think it taste better than sugar.” What a great find. Thanks! Hmmmm, I am rather stumped. As long as it was unsweetened chocolate, it should have set properly. So glad you like the Swerve, though. I am a huge fan! Thanks for your replies and help. We stuck it in the freezer and then served and ate it quickly. It was delicious and no one knew it was not real sugar until after we told them. Thanks so much. I wish convincing them that saturated fats were okay was easier, but I’ll continue to fight that battle. I made this and while it was very pretty it wasn’t very sweet. I used Splenda granulated as my sweetner. What should I try otherwise? The topping cream was lovely but the mousse and tart were blah. NIce texture but not sweet. Thanks. I can’t speak for Splenda, I never use it. I would suggest an erythritol based sweetener such as the one I used here. I have heard that cocoa and Splenda make a bitter taste…but we like it that way. Oh my goodness! My whole family LOVES this recipe ♡ Thank you so much for all of your hard work. 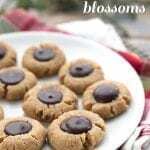 My “diet” feels more like a privilege thanks to recipes like this! Can I put it in the freezer and then into the fridge it will it “melt” and become runny again? It’s for a dinner with friends tonight and I wanted to have a treat to serve my low carb-ing self, hubby, and friend. Thanks for all your amazing recipes! I’m determined to get this right next time. ? I think the eggs probably are the issue, unfortunately. Another reader who use her own hen’s eggs found the same problem. But you can put it in the freezer and serve it semi-solid. It should be good that way. Could i substitute coconut cream for the whipping cream? I can not tolerate milk products. Thanks! Hi, can I use THM Super Sweet instead of the sweetener in the recipe? Sure, but you will need to use a lot less. Convert it in terms of sugar, because Swerve is as sweet as sugar. Well belated happy birthday, then! I didn’t try. It might change consistency a little but would still be good. Didn’t thicken up in fridge so I put in freezer. After an hour or so it was still loose but could cut. It was not sweet other than the delicious whipped cream. What did I do wrong so when I try again, I might have success. Thanks. Hi Beverly. It’s your choice of sweetener that’s likely the problem. I have tested this only with Swerve, which has oligosaccharides, a sweet tasting prebiotic fiber. They help it taste sweet AND the help thicken the filling. I can’t see the other ingredients being the issue at all here, but when you said it didn’t taste sweet and it didn’t set, that indicates the sweetener is the issue. If you want to make it again with the same ingredients, try adding about 1/4 to 1/2 tsp of xanthan gum to the filling and whirring it in at the last minute. I think instead of the sweetener choice it was the chocolate…I didn’t use a chocolate with added sweetener such as stevia like the Lily’s you used. I missed that! I’ll also try using the xanthum gum to see if that thickens. I wonder I’d living in hot, humid Florida has any thing to do with the thickening issue? Thanks. Still a wonderful recipe. I’ll get it right next time. I think you are misreading the recipe, because I use Ghirardelli 100% unsweetened and I specifically so NOT to use a pre-sweetened chocolate in the filling because it won’t set. I only shave some Lily’s over it at the end. Unsweetened chocolate is thicker because it has more fiber so it is the way to go. I think the sweetener still was the issue here. Thanks for your patience! I’ll use Swerve powdered next time. Made this last night and mine also didn’t set. Based on others’ comments, the only thing I can think of is perhaps an egg issue, since I get eggs from a farm and the sizes may not be completely consistent with grocery store eggs. That said, I love the suggestion to freeze it! This stuff is seriously delicious and I would eat it as chocolate soup if there were no other option!!! When are you going to release a cookbook? I’ve filled up a couple of binders printing your recipes out, would love to get a book I could have on hand, especially one with your best snack and dessert recipes. Just signed a publishing deal! Yay! Congratulations on the book deal, can’t wait for the book! Also, re the problem with my mousse setting, it took a little over 24 hours but it did ultimately set up just fine. Still may try the extra egg yolk per your suggestion next time just to see if it speeds things up at all. I’m about half-way through this one already! Thanks, Stephanie. How did you miss this one??? Just chiming in to say that I LOVED this dessert! I’ve been following a ketogenic diet for IBS/colitis management, and this is the first low carb dessert I’ve tried that makes me feel like I’m not punishing myself. Best of all, I brought it to a party and no one else could tell the difference! I’d like to also plug another thumbs up for the espresso powder. This was my first time using it, and it really added a whole new dimension to the flavor. I would consider it a must-have! So disappointed in this recipe. The consistency never happened despite following this recipe to the letter. And as seen in the comments, I’m not the only one. Should have just gone with the simple whipping cream + cocoa powder solution to get a nice creamy mousse(minus the eggs and butter also saves on carbs). I have made this filling multiple times so I can assure you it works. In each case where it did not work, people were not following the recipe exactly. Extra large eggs, different sweeteners, etc. Tell me what brands you used, I can probably identify the problem. I love this dessert! I made it this week with a stevia/erythritol mix for sweetener. And I used coconut flour for the crust simply because I didn’t want to grind almonds for flour. The mouse turned out perfectly! I only wish it would have lasted twice as long!!! Thank you! I just love everything chocolate! and this recipe looks so good!. I just made this and bought the exact ingredients you use in your recipe, except for Swerve. I like Etheryiol better. It’s definitely not thickening, so next time, I’ll add the xanthum gum. It’s WONDEFUL THOUGH!!!!! I don’t know about this swerve stuff.. what’s its consistency? Like granulated sugar or powdered sugar? Would it be possible to sub regular granulated sugar instead? Why would you want to use real sugar? theres alot of factors ..because not all alternative sugars react in the same way as real sugar in your body- some even spiking the blood sugar. Also, I’m an ectomorph which means I have an insanely fast metabolism and I need all the calories I can get and I don’t have sugar replacement in my house because I like the real deal . Well, the mousse is tested with confectioner’s Swerve and may not set properly with sugar, although you are welcome to try. And as a diabetic, I am not about to put up a recipe that raises people’s blood sugar. I have tested erythritol over and over on myself. OK — I used the link and bought the tart pan and it arrived last night. I also found Cashew Milk at Whole Foods last night — so I am definitely making this sweet treat this weekend. As I’ve already made the mousse and it turned out perfectly (and so yummy) – I can only imagine how fabulous this tart will be!! YAY — I’m so excited!! Hi I can’t wait to try this recipe. Could I replace the swerve with xylitol or would it have the same setting problems? Also we don’t like the taste of almond milk could I use more cream or pouring cream? You can use milk or pouring cream (I assume you mean half and half?). But I don’t know how well xylitol will work, it’s a bit different than erythritol and may not set properly. However, if it doesn’t, you can always freeze it and eat it as a frozen chocolate pie! I made this delicious recipe last night and taste tested it today. However, for me a well, it did not setup completely. My eggs were organic large. The only thing I can think of is I used Truvia (because I have not swerve at this time). Next time I will use swerve. It was very tasty thou. Yes, a pie pan will be fine! I am going to guess that you did not use the exact same ingredients as I did. What sweetener did you use? Hi! 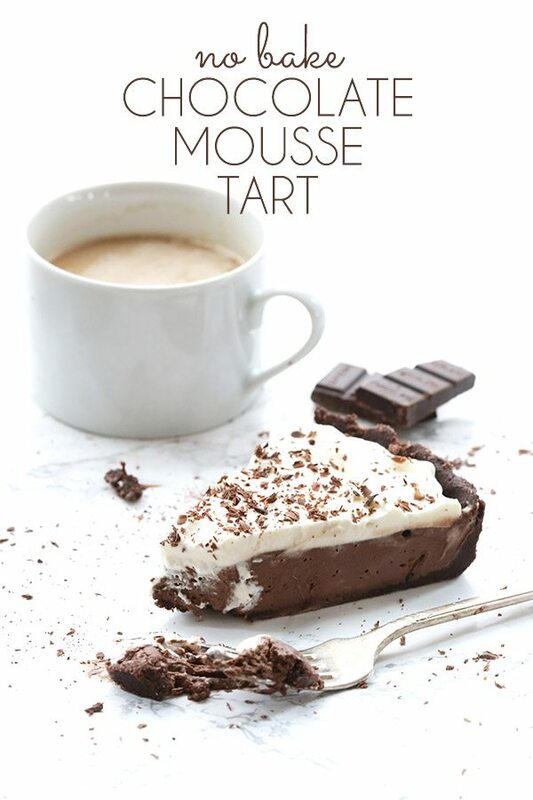 I tried making this tart today and faced the same issue many others did, the mousse does not set. I was wondering would it be because I’m reading the recipe wrong. In the part where you have blended chocolate, cocoa, sweetner etc. Should you pour the cream in to the blender or the chocolate into the pot and the cream? You add the very hot cream to chocolate mixture. So I have to ask…what brand of chocolate did you use? What sweetener? I”ve made this recipe probably a dozen times and it works for me every time. I use Swerve sweetener, and Ghirardelli unsweetened chocolate. I wonder if the blender makes a difference? I made this recipe using different sweetener (can’t remember if I made any other changes), but the mousse set perfectly. I have a Vitamix blender. Maybe the amount of blending makes all the difference? I used coconut creme from the oriental market and stevia. It was more like a pudding. It was not a thick texture. It seemed to melt really quickly. Any tips or suggestions. This recipe requires a powdered sweetener with bulk to set properly. So that’s your problem right there. I just made this. It’s delicious. Really really delicious. It’s way at the top of the list of my favorite low carb desserts. My mousse set up fine, and I didn’t follow the recipe to the letter. I did however use a high speed blender (Vitamix). As someone else suggested above, I do wonder if it’s a blender issue for many people. It’s easy for me to imagine that running uncooked eggs through a high speed blender would result in a firmer final texture than running uncooked eggs through a regular blender. I blended for quite a long time as I adjusted the sweetness to my liking, and by the time I poured it into the pan I used, I had to use a spatula to get into the corners (I used a square 8X8 casserole dish because I don’t have a tart pan and I only have very small pie plates). Here are the ways in which I did not follow the recipe exactly–I baked the crust (just because I really really like baked crusts made with almond flour and butter), to sweeten the filling I used powdered erythritol, stevia, and Just Like Sugar in fairly random amounts until I liked how it tasted, I sweeteend the crust using only stevia and Just Like Sugar, I used Scharffenberger unsweetened baking chocolate for the filling. Otherwise I followed the recipe. I think the key to the thickening for me was blending for a long time in a Vitamix. Thank you for your work! This is yet another keeper for me! Oh! And I instead of cashew milk I used water blended (in a high speed blender) with several cashews. I wouldn’t try this with a regular blender, but it worked fine with a Vitamix and didn’t have any of those weird ingredients often added to nut milks. Oh, actually the amount of erythritol I used was not random–it was 3 tablespoons, when swerve is the sweetener I almost always substitute with this formula–however much swerve was called for, I instead put in half that amount of erythritol and then add stevia and Just Like Sugar until I like it. I like erythritol a lot as long as I keep the total amount in a recipe fairly low. The amount of erythritol in Swerve is usually too much for me once it has made whatever I’m making sweet enough. Um, OK maybe I’m obsessing on this a bit. I just google “blend raw eggs in vitamix” and found a bunch of people dumping raw eggs (and cream and maybe cheese) into a vitamix and ending up with scrambled eggs. (I am so going to try that in the morning.) So, maybe those of us with high speed blenders are cooking the eggs more than people with traditional blenders? This seems very possible to me even in a short period of time considering how hot the cream is when it goes into the blender. I really don’t think a traditional blender could cook an egg, but those of us with high spend blenders all know we can heat things up with them just from the friction caused by the speed of the blades. That might really make a difference for how firm this mousse gets! Thanks for all of your input but I don’t think the blender is necessarily the issue here. I have a Blendtec, not a Vitamix. I have made this recipe multiple times and I don’t blend for very long. Certainly not long enough to cook an egg. 🙂 It is high powered but I think the issue has a lot more to do with the size of the eggs and/or the kind of sweetener or chocolate used. Oh my goodness. My daughter and I made this today and it is absolutely DELICIOUS!!! Thank you for these wonderful recipes! I absolutely love you recipes. 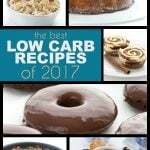 I have been low carbing for about a year and these are the best low carb recipes out there. Thank you for making this lifestyle so much easier and yummier for all of us. Keep up the good work! 2 ways to help it set: 1. if you can get xanthan gum, add 1/4 tsp of that to the blender along with the cocoa powder. 2. Or add another egg yolk and maybe another tbsp of cocoa powder. That should help thicken it too. Don’t do both of these things, just one of them. Hi! Can the topping be frozen too? The crust and mousse are in the freezer right now but i’m not sure I can make the topping in advance. I read other comments where people say the mousse is more like pudding. I might try it with “real” chocolate mousse next time, which is only chocolate mixed with egg yolks and beaten egg whites. Sure, you can freeze the whole thing. Thanks, I didn’t know whipped cream could be frozen! Got it! I still loved hearing it, thank you! This is a great dessert, but the chocolate mouse never sets the way it should. I have made it two times and both times the mouse has not set. The third time I have decided to leave out the milk and at the end I have dissolved some grass fed gelatine in it and add it to the mouse. This has helped it set nicely, so I looking forward to cut into it a bit later today. I haven’t yet figured out why some people have trouble with it setting. I have made this countless times (just made it again for a new recipe) and it sets every time. Every TIME! The only time it didn’t set is when I used Lily’s dark chocolate instead of unsweetened chocolate. I am stumped because I’ve even made it dairy free and that sets perfectly too (coconut milk and coconut oil instead of cream and butter). Can you sub the powdered sweetener with stevia?? Or do I need to buy that specific sweetened mentioned? Swerve contains some fiber that will help the mousse set properly. If you want to use stevia, I recommend using a little xanthan gum (about 1/4 tsp) when you blend it, to help set the mousse. This looks so amazing! I can’t wait to try it. One question – do you think I could swap coconut milk for the almond milk without any consistency issues? Yup, that should be fine. Changes the carb count a bit though. In Australia I can’t seem to find unsweetened chocolate. WHat can be used to replace this? You can try 3 tbsp cocoa powder and 1 tbsp butter or coconut oil per ounce unsweetened chocolate. I can’t be sure it will work in this recipe, though, as I haven’t tried it. This dessert is Wonderful. Made it for my mother-in-law, who is diabetic. She told me it was the, “best thing she’s ever eaten – even better than a bakery!” I gave you all the credit. You ROCK. I have made this recipe 3 times and the mousse always failed to set. It taste so delicious that I keep trying and a friend has made it as well with complete success. I watched her make it and there were two changes, although same ingredients. (We’ve always used 3/4 cup cream and 3/4 cup coconut milk). She whisks the chocolate into hot milk/cream before adding to blender. She also blended it for longer than I did. I tried again tonight and made it with 1 cup cream to 1/2 cup coconut milk and blended a long time. This was the first time the mousse set, but still not as firm as others she has made. I did have an old blender while my friend uses a Vitamix. I’m determined to make this work. That is one big glorious tart! I didn’t know there was such a big tart pan! I read all the comments and wanted to share what worked for me! I baked the crust at 350 for about 4-5 min. I didn’t have any unsweetened chocolate so I used some Lily’s chips instead and added 1/4 tsp xanthan gum to the blender. That thickened it right up! It was a thick pudding consistency before even putting it in the fridge. 1.5-2 hours in the fridge and it was perfectly set! I also used monk fruit sweetener for the filling. Just personal preference. The only thing I’d do differently next time is sweeten the crust up just a little bit more. I brought it to dinner at a friends house and no one could believe it was low carb zero sugar! Thanks for the awesome recipe!! I love your blog! I’ve already made a bunch of your recipes and they have all turned out great! I Just made this, it was super easy and I can’t wait till it is fully set so I can eat it!!! 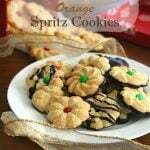 Thank you I can not tell you enough how I love your site, and recipes!! Sorry if this questions was already asked, but can coconut flour be used instead of almond flour? I’m new to low carb and enjoy it so far. I just happen to only have enough coconut flour on hand and would like to make this. No, coconut flour and almond flour are really not interchangeable at all. You could look for a coconut flour chocolate crust perhaps? First, I love your recipes & your site! Unfortunately, I got the same results as many of you did on this one, soup. 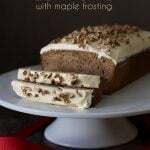 I am experienced with baking and low carb and I used all of the described ingredients and mixed till “smooth”, but to clarify, what should the consistency be at this stage? I mixed till smooth but it was still quite thin, it thickened slightly in the fridge but still more soup than mousse. I was able to salvage the pie by spooning the filling back out and mixing it with a package of softened room temperature Greek cream cheese. Its still not as thick as I was hoping for but at least it holds it’s shape when cut. Just an alternative for those sticking the pie in the freezer to salvage it. Obviously, it changes the flavor profile but at least all is not lost. Hi Tiffany. I honestly haven’t pinpointed the issue here. I’ve tried, believe me. I’ve made this recipe countless times because I love it and I never have an issue. The ONLY time it didn’t set quite as well was when I used Lily’s dark chocolate in place of the unsweetened chocolate…unsweetened has more fiber so it makes sense that this would be an issue. A few people have suggested that it’s the blender. I have a really good high-powered blender that whizzes the eggs in with the hot cream and milk so potentially this helps set it. For future, if you want to make this, I have two suggestions. An extra yolk and/or 1/4 tsp xanthan gum. Carolyn, this is wonderful! I’ve made it once and it turned out perfectly. Do you have any experience with freezing a dessert like this? Thank you for all of your great recipes and the effort that goes into creating them! This would freeze well because of the high fat content. Hmmm, well it may be thinner but I think it should work. I am preparing foods just for me. My concern in trying this recipe is that it would take me almost two weeks to eat it all. Do you think this would last in the refrigerator that long before going bad? I have made some recipes in the past that did not. However they were not desert recipes. Your thoughts on this are appreciated. No, a recipe like this should only be kept in the fridge for 5 days, at most. I do have several “mini” desserts designed for 1 or 2 people. Search my blog for those. I made this for a work function yesterday. It was AMAZING! I didn’t think anyone would hardly touch it since I labeled it sugar free and grain free. It was devoured and I had so many compliments on how much people loved it. After reading reviews I did add just a pinch of xantham gum to the egg mixture. It setup up beautifully! I didn’t have a tart pan so I used a cheesecake pan. It still looked pretty! Thank you – will be making this again! I made this recipe again without success. I used identical ingredients (unsweetened chocolate, Costco large Organic eggs, powdered Swerve, and the same cream and milk) to my friend and followed her steps EXACTLY. Hers always sets into a thick mousse, mine is runny and like a pudding. She owns a Vitamix and I don’t. I have a Costco Ninja, but it doesn’t seem to have the power needed to whip it into a pudding state. She has altered hers with Coconut milk, medium wild eggs, and even granulated Swerve sugar when she ran out of other ingredients and it still works beautifully in her Vitamix. I am convinced it is the blender! Thus, if you don’t have a really powerful blender, like a Vitamix, then I believe you should automatically put in the 1/4 tsp xanthum gum. I will be trying another one today with my Ninja and the xanthum gum and we will see if it sets. I have made 4 times without success but I am determined because I know how good it can be when it actually sets! Hey Kathryn, thank you so much for this feedback. Truly informative! I hope mine will set. I watched the mousse video after I made my tart! I should have watched it first. It said the cream, almond milk, butter mixture should be very hot or the mousse will not set. Mine was probably just warm as I removed it from the stove while I prepared everything else. I wonder if everyone else that has trouble with the mousse setting did not have the cream, almond milk, and butter mixture very hot when they added to the blender. In the video, hers was steaming hot. We will see in about an hour. Mine is not setting up completely. I am convinced it was because the mixture was not very hot before adding to blender. I used all the ingredients as recommended otherwise. I will know the next time! No fear! 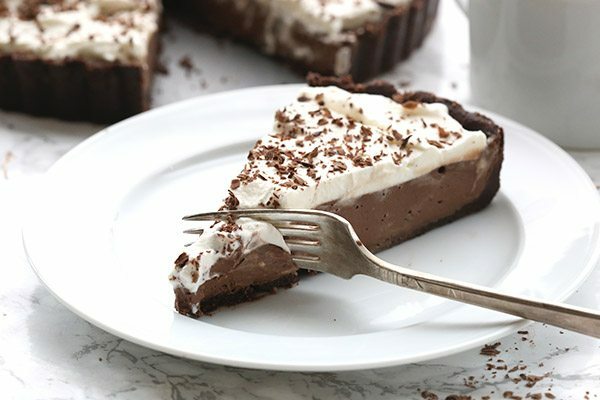 I froze it and it makes a wonderful chocolate ice cream pie. This dessert looks amazing! Is it possible to add the eggs when you scald the milk so that you’re not using uncooked eggs? Oops I mean adding the eggs and tempering them after you’ve brought the filling to a rolling boil. Sure you could try that. 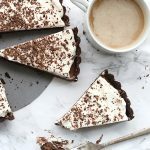 Can this recipe be made with coconut cream in place of heavy whipping cream for a dairy free version? I made this and used mini muffin pans to make bite size tarts, it worked out perfectly and was delicious! Sorry, I really don’t know why it wouldn’t if you followed it both times. Perhaps your cream wasn’t hot enough? For the filling can you replace the nut milk for whole milk or cream? And for the unsweetened dark chocolate chopped, can you use dark chocolate that’s sweetened with stevia like Lily’s? No, you can’t use Lily’s it doesn’t set properly. Nut milk works for the milk but you really need unsweetened chocolate. Mine is not setting u and it’s been 2 hrs 🙁 I used the unsweetened chocolate and I used a certain type of trivia as it’s the exact same ingredients as swerve. It’s heavy bulk like sugar. Any ideas why it might not be setting. I did everything else exact. Could I put it in the freezer??? Sorry but it’s impossible that you used Truvia with the exact same ingredients as Swerve. Truvia is made with erythritol and stevia and Swerve is made with Erythritol and oligosaccharides. Those oligosaccharides add fiber (it’s a prebiotic fiber similar to inulin) which helps this mousse set. That is why yours didn’t set. YEs, you can freeze it and it will still be delicious. Would it be ok to use heavy cream in place of the nut milk? We are not fans of nut milk so I don’t really buy it much. Sure. I find it thickens even more with just cream but some people have trouble getting it to set so I think it would work.